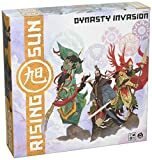 Each of the Clans in Rising Sun possesses a unique special ability that sets them apart from all the others. 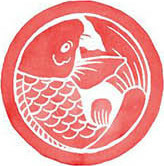 Eddies in the Stream - Ever adaptable and unpredictable, the Koi Clan is able to use Coins as if they were Ronin. At the start of the War Phase, the Koi player must discard all Ronin tokens they have and take the same number of Coins from the common pile. When resolving the Hire Ronin step of a Battle, all Coins the Koi player has in their reserve count as Ronin tokens, adding their Force to the figures in the Province if the Koi player won the Hire Ronin War Advantage. Gossamer Wings - The Dragonfly Clan can literally fly all over the map, showing up anywhere without the normal restrictions faced by other Clans. When the Dragonfly player Summons one of their figures, it can be placed in any Province, whether they have a Stronghold there or not. The number of figures they can Summon with a Recruit Mandate is still tied to the number of Strongholds they have on the Map. When the Dragonfly player Moves one of their figures, it can be placed in any Province on the Map, no matter how far. 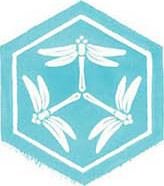 Figures belonging to the Dragonfly Clan never have to use Shipping Routes to Move from one Province to another. Dictate the Flow - The Lotus Clan determines the flow of politics by turning the Political Mandates they play into anything they wish. 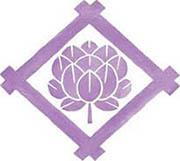 On their Mandate Turns, the Lotus player selects one of the 4 Political Mandates they drew and places it facedown on the board, without any of the players seeing what it is. The Lotus player then announces what Political Mandate will be executed, choosing anything they want ( Recruit, Marshal, Train, Harvest, or Betray ). 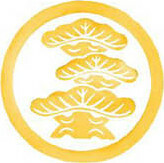 Sacred Bounty - Ever growing and evergreen, the Bonsai Clan needs to spend very few Coins when acquiring resources. The cost of everything they buy, be it a Season card or a Stronghold, is limited to 1 Coin at the most. If it costed 2 or more Coins, it costs them 1 Coin. If it costed zero Coins, it remains free. In case the Bonsai player benefits from a discount, such as the Train Mandate Bonus, it applies after the clan ability, bringing the cost to zero. Shell of the Eternal - The Turtle Clan builds their Strongholds on top of the shells of giant legendary turtles. These indestructible fortresses can move around the Map and even join in the disputes for the Provinces. When the Turtle player Moves their figures, they can choose to Move their Strongholds as well, exactly as if they were Clan figures. 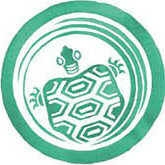 Each Turtle Clan Stronghold also counts as 1 Force in the Province they occupy, exactly as if they were Clan figures. This may influence both Harvest and War. However, Strongholds may never be killed, never be Taken Hostage, and never be replaced by a Betray Mandate.